GPS maker Garmin announced this week that we’ll have to wait a bit longer for its already long-awaited power-measuring Vector pedal. Vector was scheduled to become available in June of this year, but has now been put back to an unspecified future date. "After testing our latest advanced prototypes of the Vector system, we are still not satisfied with the results," Garmin said in a press release. "Vector is a complex, precision measurement instrument and as of yet, we are unable to ensure that this device will meet the expectations of the cycling community. "We cannot estimate a delivery date but we do not expect the product to be ready in the summer of 2012, as previously targeted." The Vector pedal originally appeared in 2009 as the Metrigear Vector. Garmin bought Metrigear in 2010 and have been announcing availability dates and putting them back ever since. To be fair, they’re not the only ones. Polar and Look’s power-measuring pedal is now available, but was delayed by many months. German company O-Synce has yet to ship its icyclopower pedal, and Brim Brothers’ Zone power-measuring cleats are still in development. There are carbon-fibre bikes, bamboo bikes, Audi-branded wooden bikes, but a firm in San Francisco has its eye on your wallet with its hand-folded sheet metal bikes. Sure, they look as though they’re made from the hull of the Titanic, but the technology behind Ronin’s sheet metal frames is really quite cool. The sheets of metal (aluminium and titanium, among others) are perforated to make them foldable, which means that anyone with access to automotive chassis glue and a rivet gun can put them together, creating “tubes that change shape, curve and form pre-stressed self-reinforcing tubes”. After some experiments using heavy stock paper, the current prototype was built out of 0.024 inch (0.6 mm)-thick 6061-T6 aluminum. The entire process took less than three weeks, and the frame itself weighs under 1.4 kg. The company describes the result as a “lightweight, stiff and super fun frame”. Ronin go on to claim that folded metal frames actually trump traditional welded ones, saying that folding skips any welding that can weaken the the frame material by creating heat affected regions at the joint. Estimated prices range from US$199 for a regular steel frame, to $999 for a titanium model. The first model that they plan on producing, made from high-end aluminum, should be priced around $499 – frame only. At the moment, the project is small-scale and local, with expected output of 100 frames per six weeks, but if the idea really takes off you might see one on a street near you soon. They are currently raising funds on Kickstarter. A pledge of $300 will get you an unpainted handmade prototype frame, while $1,000 will score you a complete painted bicycle. 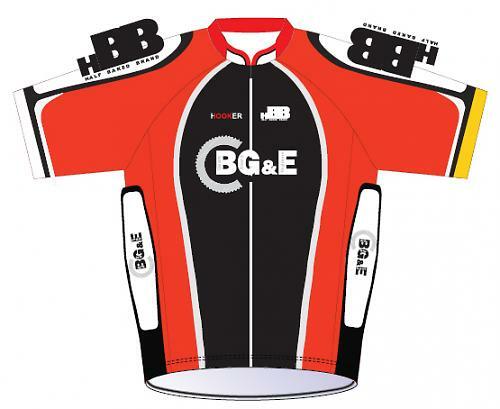 HBB, specialists in custom order bike kit, have just launched a new range of cycling jerseys, armwarmers and shorts available in quantities as low as ten units. Short sleeve jerseys start from £35 each and are made from breathable Coolmax fabric with the obligatory three back pockets for all your bits and bobs. The TLA stands for Half Baked Brand and was started in 2009 by James Aston after a fruitless search for custom cycle kit for his club. James says: “For many people cycling is a big part of them, it is also escapism from the hum drum of every day life. Our bold, bright designs show the world you're a winner and you’re having fun doing it.” We couldn’t agree more. HBB say they get particular praise from customers for their vivid prints and fast turnaround , so if you’re organising a charity ride or have something to promote, check them out. Craft’s heritage is in Nordic sports, so you’ll know that whatever they make will be up to coping with a spot of bad weather. 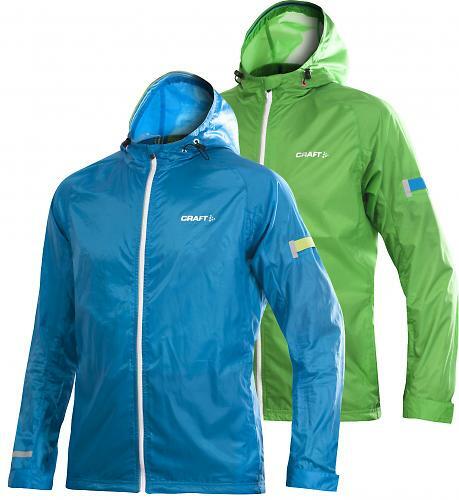 The new Hybrid line is primarily for running, but actually makes a neat light jacket for multi-discipline athletes. With some extra length in the arms and back you won’t feel a cold breeze when you jump on the bike. The women’s medium jacket weighs in at 230g, so we can assume the men’s models are slightly heavier. For this you get a 2.5 layer laminated outer that’s fully wind and waterproof, a rollaway hood, side pockets, an mp3 player arm pocket, flat seams and some thoughtful reflectives, so this looks to be a jacket you’ll grab over and over again on your way out. That nice Dene from iL Soigneur popped round on Friday to show us the range of Creux cycling gear that he's bringing into the UK. Creux is an Australian band and they produce a range of pub-friendly cycling wear that's designed to perform on the bike and look good off it. The tees are made from a 85/15 Polyester/cotton mix and the material feels very soft. They're a slim fit to stop them flapping in the wind, and feature other cycle-friendly touches such as rear pockets. They're not cheap at £42 each but they look to be very nicely made. 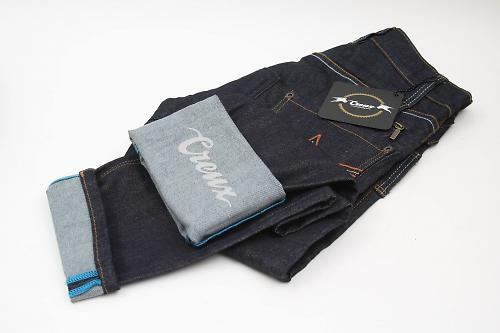 The jeans are cycling-specific too, with a subtle padded insert and reflective print on the inside of the leg, so you'll get a bit of extra visibility when you've turned them up to ride home. There's lock loops and zipped valuables pocket too. Expect to pay about £120. Denim and canvas shorts will also be available. The range should be available from the end of April; iL Soigneur will be selling them from their website and you'll also be able to get them in Tokyo Fixed, Condor Cycles and Ronde in Edinburgh. Zéfal's HPX frame-fit pump is an old favourite, so we’re pleased to hear that they’ve got a new range of track pumps starting at a very reasonable £29.99. The entry-level steel FP30 has a handy extra-long 1100mm hose and the patented Z-Switch system for either Presta or Schrader valves. The top of the range FP70 (£59.99) is made of lightweight aluminium and has an even longer 1225mm hose - perfect for the workshop. 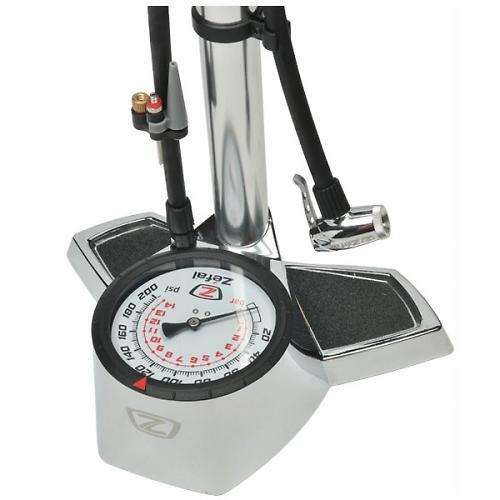 Both models feature a big gauge, making it much easier to read the pressure, and a nice wide base to stop it toppling over and getting damaged. The popular Air Profil Micro, a short, light (165mm), aluminium on-board pump that can get you back on the road with up to 100psi is now available in a sleek matt black colour (£19.99) and the company is also offering a new water bottle, the Z20, which is soft enough to make it easy to get at your drink on the move, and well-priced at £4.99 for 600ml and £5.99 for 750ml. Available in black, white and clear. Vulpine’s range of street-styled cycle clothing got plenty of favourable comments when it launched recently, but plenty of people are wary of buying online because of the hassle when it doesn’t fit. So pop down to Pearson Performance in Sheen, South West London on Thursday 19th April for some free beer, some free cake, and a chance to feel and try out the Vulpine range, with a one-night-only 10% discount on all clothing, as well as all of Pearson’s stock. It’s also a good opportunity to watch the folks at Pearson Cyclefit demonstrating their bike-fitting magic. 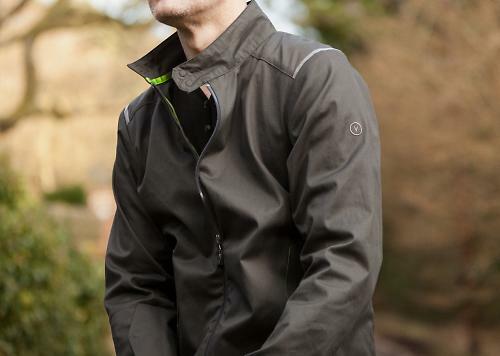 The Vulpine range so far consists of some smart city jackets with features like magnetic pull-down visibility panels and fold-back reflective sleeves for brighter hand signals, as well as pure merino t-shirts and jerseys designed for the stylish pedaller-about-town. There are now more lovely Italian bikes available in the UK than before, thanks to Impact Cycle Trading taking on the distribution of Fondriest and Torpado over here. 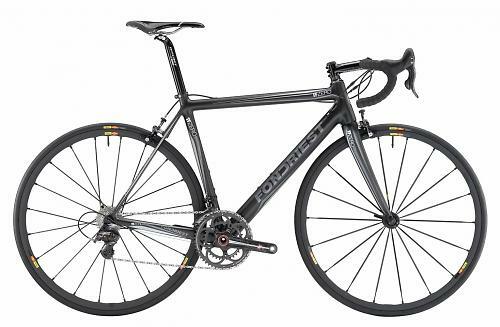 Fondriest was, as the name suggests, created by Maurizio Fondriest who has a long history of frame building, and the road offerings are as sleek as you’d expect. There are plenty of build options including Campag ESP and Di2, and the showstopper of the collection is the TFZero, a made-to-measure hand-built frame that comes in at 798g in a medium. Torpado is a MTB-focussed brand with some good-looking city and touring options as well as a carbon road range, and 100 years of heritage behind it. For the chance to get your hands on both brands, check out the ITC stand G23 at the Road Cycling Show at Sandown Park on the 21st and 22nd April 2012. Details of the bikes from Fondriest's website and Torpado's website. UK info from Impact Cycle Trading (site not working at the time of writing). I think they're round so you should be OK.